Cannot believe it is less than 2 weeks until Christmas! WHAT? So much to do, I love this time of the year and all the family, friends and festivities it brings. 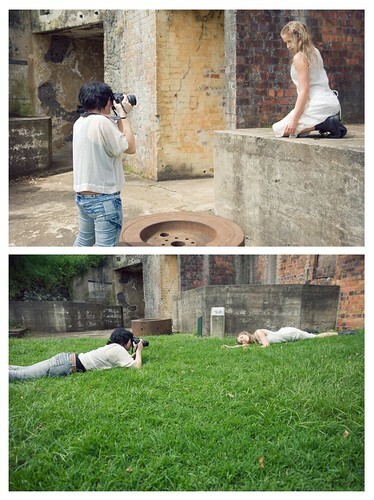 Around the end of October I assisted the wonderful Lucy Rice on a fashion/beauty shoot up at North Head. The amazing Elise Wilson did the hair and makeup and I did a bit of behind the scenes shooting. Check out the gorgeous Ruby Rose from Clyne! See Lucy's photos from this shoot here! Emma and Shea Sneak Peek! Brooklyn Zoo 'Coney Island' Summer Party!